Show some Flare at your next event with these colorful pom poms! 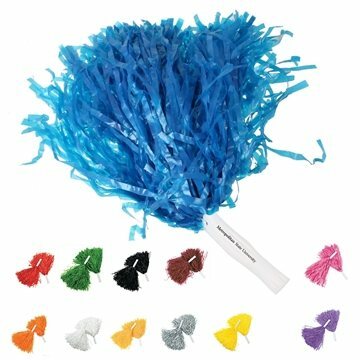 Offered in a variety of colors, these pom poms will make a loud impression with your custom imprint featured on the handle of this fun accessory. Promote your favorite sports team, show school spirit, or celebrate a colleague's success by making this a handout recipients won't be able to put down. Wave it around and bring some exposure for your next successful promotion. Didn't expect them to arrive a day earlier. Thanks again to Rosa for being there throughout the entire process. My rep recommended the product and it was great! I think the quality at the price sold is the best overall.